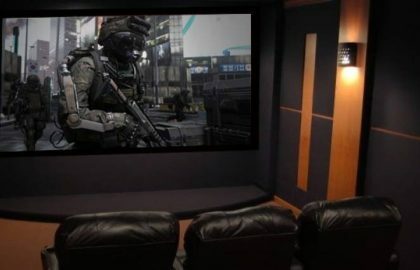 If you want the excitement of playing games and watching movies at your own home, on big screen, you should build a home theater. Most of the major companies have come up with advanced technology of home cinema products offers lot many features. 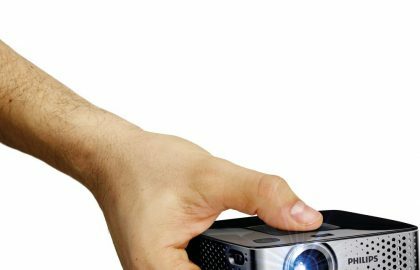 But when you go for it, the first product should be a home theater projector that offer great performance, portable, simple in functioning and more over value for money. Our aim is to take you through the features and a comparison of best home theater projectors that anyone can afford. If you are looking for gaming projectors check out our top picks exclusively for gaming. 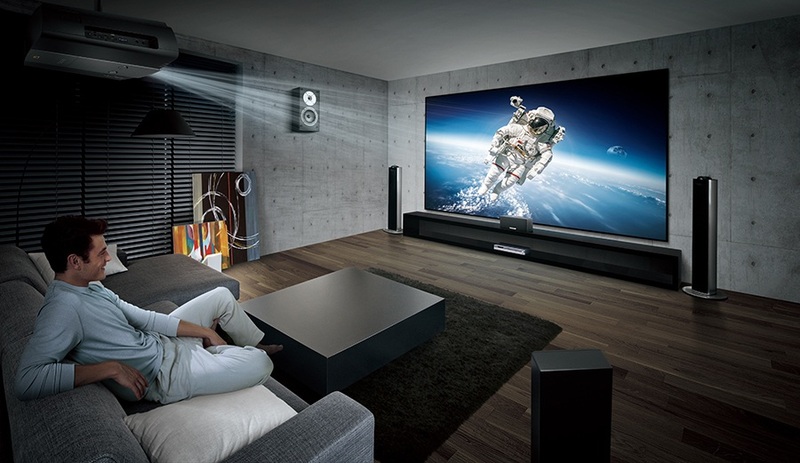 Or if you want to turn it up a notch, check out our list of best 4K projectors. 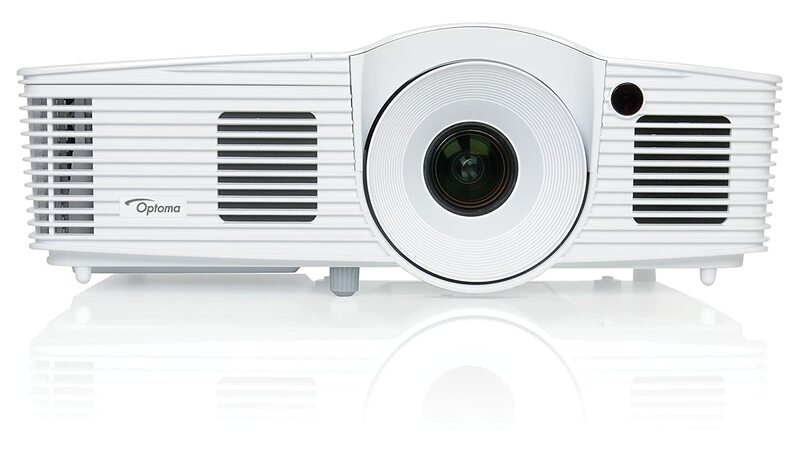 If you are looking for a decent projector that doesn’t break your bank, you can go for HD142X. At a glance, it is an overall performer with low budget with black-lit remote control. As the competition is so high in the market most of the companies are aiming to provide a single chip model that delivers high performance, best looking and importantly lowest price. HD142X is one such affordable model that aims at casual gamer and movie buff. HD142X weights 5.5 pounds and is compatible enough for portable use. Brightness is spec’d at 3,000 lumens and lamp life at 6,000 hours when the projector is used in Eco mode. Another specialised feature is it enhances colour richness through using six segment (RGBCYW) colour wheel. While coming to connections, it has a pair of HDMI 1.4a inputs one of them is MHL compatible. Also stereo out put jack of 3.5mm and 12 volt output for controlling screen is there. One of the unique feature of HD142X it has a fully backlit remote control which is small and cute. 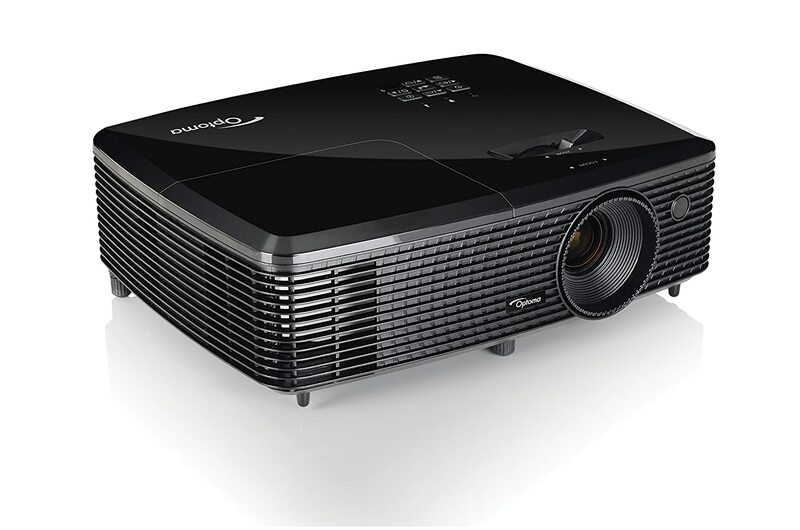 Overall, HD142X performs better than most of its higher priced competitors which makes it the best home cinema projector in the list. 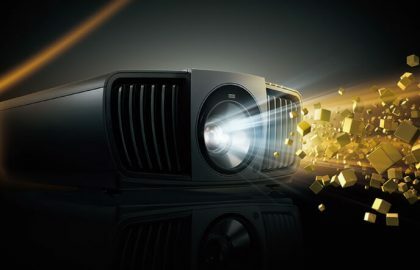 While some projectors are exceptionally bright and others are great for gaming with lightning quick response times – there are some that just look so good that they become impossible to ignore. 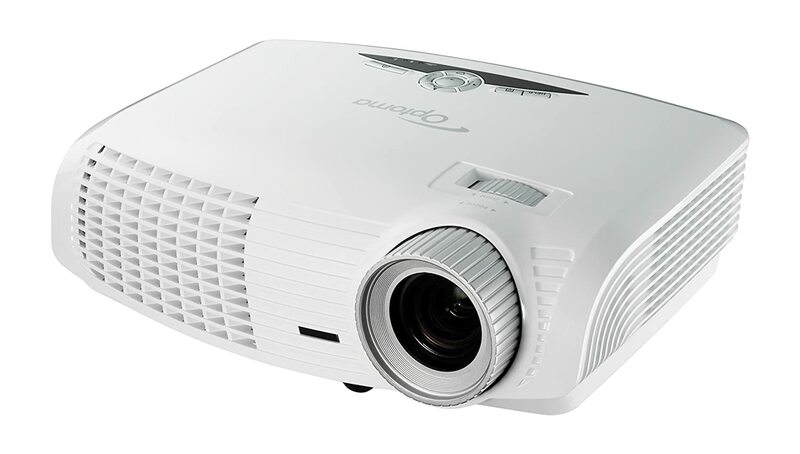 The BenQ HT3050 is one of those projectors, and so much more. Thanks to the inclusion of the Rec. 709 Cinematic Color accuracy, the HT3050 reproduces movies and TV shows exactly how directors intended them to look, with no guesswork thrown in to try and correct for washed out skin tones or greyed black levels. Throw in a short-throw lens and whisper-quiet operation, and you’ve got an easy contender for one of the best projectors this year. When you look at attractive projectors for home theatre system Optoma is the brand to look for. The HD28DSE is also known for its attractive and trendy looks. It has got a white exterior with angle curves which gives a pleasing look. One of the major highlight of HD28DSE is it contains two HDMIs(version 1.4a with 3D and MHL support) and USB ports. These USB ports supports Amazon Fire and Google chrome cast which is some of the widely used streaming devices. It supports 3D synchronising transmitter and through WHD200 pack you can add wireless HDMI. One of the major concern arise when buying a home theatre projector is its weight. It should be easily portable. Optoma HD28DSE is easily portable with a weight just 5.7 lbs. HD28DSE has got a lumen rating of 3000 and high contrast ratio of 30000:1. A single chip DLP system is used for delivering the pictures. It works on Dynamic Black Feature which delivers 8,000 hours of life. The biggest selling point of HD28DSE is its image clarity. It uses DarbeeVision Visual Presence video-processing system for better and high quality images. You can choose Between three modes ‘Hi Def’, ‘Gaming’ and ‘Full Pop” for high to low resolutions and respective quality videos. 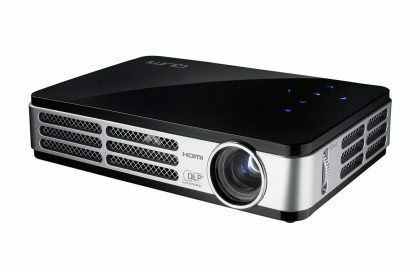 Overall, A full fledged projector which meets the people’s demands and delivers quality results in an affordable price. 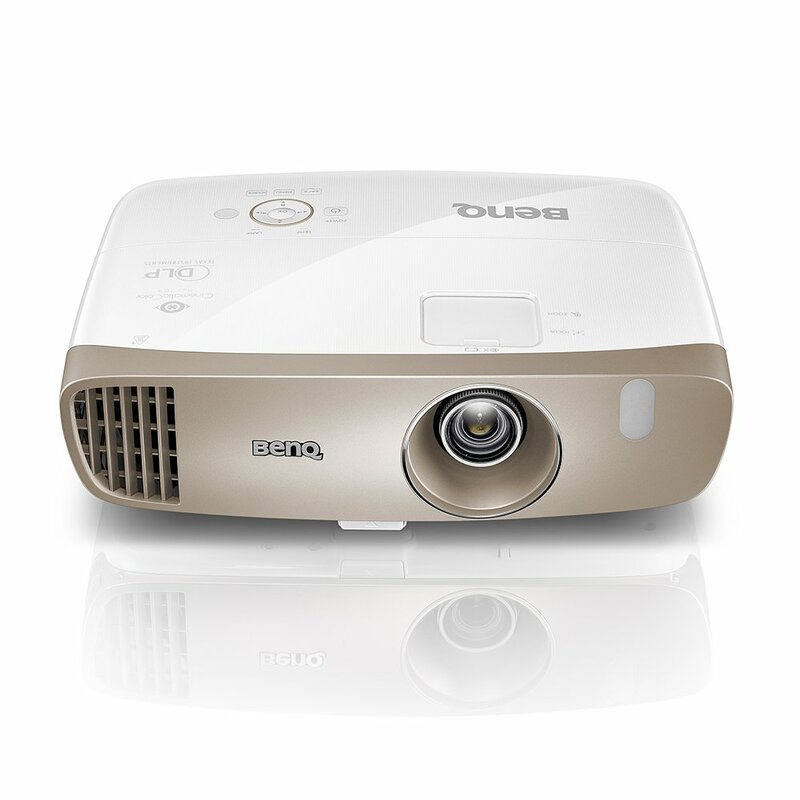 Today, so many people are looking for a projector that can work in areas with ambient light. HD25 -LV is the higher brightness version of Optoma products. It is much more expensive than HD25 because of its double light output. Like the HD25, the HD25 LV has a manual 1.2:1 zoom lens with no lens shift and a fixed upward throw offset of 15%. The other major features are HD25-LV-WHD offers brightness of 3500 lumens and 240 W lamp and weights 6.4 lbs. It offers high quality brightness as I stated above because of 6-segment RYGCWB colour wheel @ 7200rpm. With that much light output, an 301″ diagonal screen size in the living room looks brilliant, well-saturated, and high in contrast despite the presence of ambient light. It supports side-by-side and top and bottom 3D formats . The built in 16W stereo speaker system and SRS WOW HD Surround Sound technology are added features for a typical home theatre projector. It supports HDMI 1.4a, 1080p 3D audio and video with USB ports. It uses less than 0.5W power consumption in standby mode, which provides up to 75% savings. 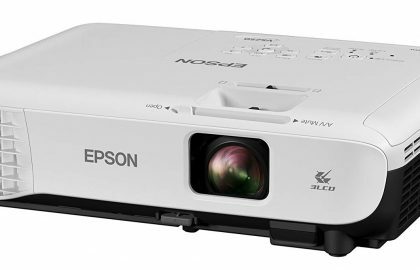 When it comes to projectors another well-known brand which comes to our mind is Epson. 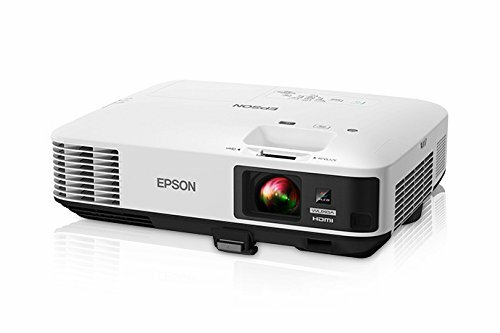 Epson Home cinema 1440 is one of the premier projector in their vast line of products. It has got a brightness of 4400 lumens with the same colour light output. The contrast ratio is 10000:1 and lamp light life is 3000 hours as on full power and 4000 hours as on eco mode. The lamp type is UHE with 280 watts. It has got a resolution of 1920*1200 and aspect ratio of 16:10. It supports video modes of 720p to 1080p and has a weight of 10.2 lbs. The display type is 3 LCD and a standard zoom lens of 1.65:1 ratio. In the case of connectivity it has got 2 HDMI one with MHL, the “mobile” HDMI, which allows for working with today’s streaming sticks like Roku, ChromeCast, Amazon Fire, Apple TV, etc. and two USB ports and 2 computer inputs. In addition to this there’s a split screen feature allowing for two same size or two different sized images side by side.